UI faculty members discuss the new undergraduate neuroscience major approved by the state Board of Regents on June 28. 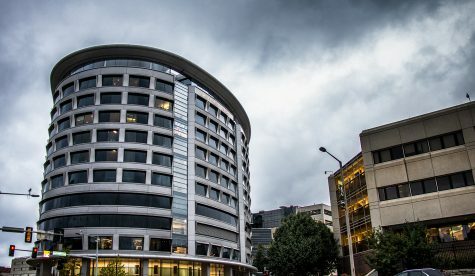 The University of Iowa is elevating its strength in the health sciences to bring together numerous disciplines and create an undergraduate neuroscience major. 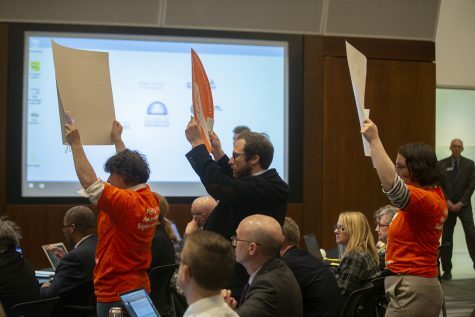 The state Board of Regents approved the major in a June 28 telephonic meeting. 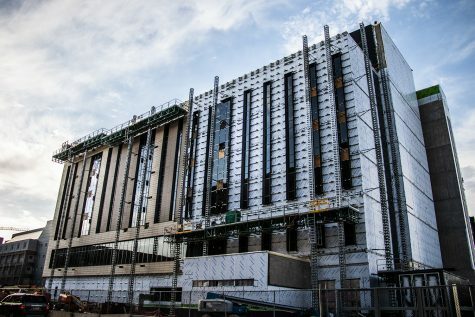 Months prior to the regents’ approval of the major, in December 2016, they approved the creation of the Iowa Neuroscience Institute, an interdisciplinary neuroscience center made possible by a $45 million grant from the Roy J. Carver Charitable Trust. 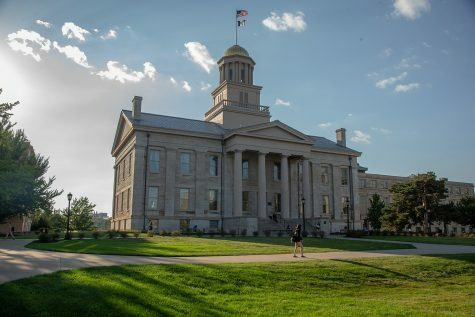 Part of the proposal for the grant involved the creation of an undergraduate neuroscience major, said Josh Weiner, the associate director of the Iowa Neuroscience Institute and a professor in the Departments of Biology and Psychiatry who helped develop the proposal for the major. 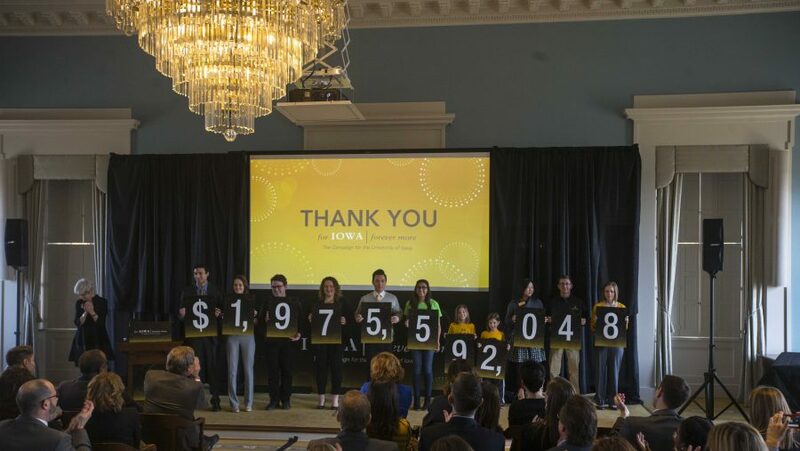 “… With the neuroscience research being emphasized on campus and having a lot of resources put behind it, they felt that it would be a really good way to get undergraduates involved in that excitement that was happening at Iowa in terms of neuroscience,” he said. Ted Abel started working at the UI in January as the director of the institute after being a faculty member at the University of Pennsylvania, where he served as the director of the undergraduate neuroscience program. 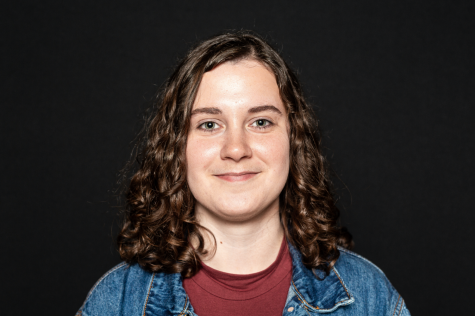 The position so far has been a great opportunity to work with faculty and establish the neuroscience major within the College of Liberal Arts and Sciences, Abel said, creating a partnership between the Biology Department and the Psychological and Brain Sciences Department. 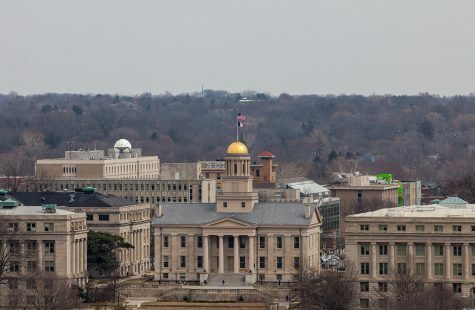 Abel said the grant that created the Iowa Neuroscience Institute will help support the major by providing research opportunities and fellowships for undergraduates, as well as recruiting faculty to teach the neuroscience-major courses. 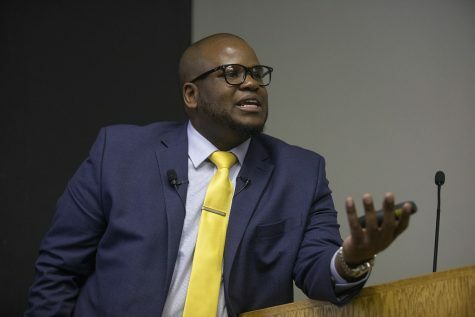 “It will mostly support it by building a community of undergraduate researchers that can discuss their projects and discuss their future and their plans after Iowa and after their undergraduate education,” he said. Honors majors in particular will have access to opportunities to conduct research with neuroscientists across campus, said Ryan LaLumiere, a UI associate professor of psychology who helped write the proposal for the major. “One of the exciting things about both the Iowa Neuroscience Institute and the way we developed this major is that students who want to do Honors research in the major can do that with any member of the Iowa Neuroscience Institute,” he said, including neuroscientists in the institute, neuroscientists in the Psychological and Brain Sciences and Biology Departments, and in other areas on campus. 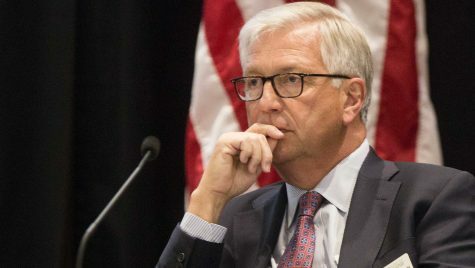 The UI currently offers a graduate program in neuroscience, and the new undergraduate program will offer opportunities to work with students in medical school and graduate students, Weiner said. Majors will be jointly advised by the Biology and Psychological and Brain Sciences Departments, and the Neuroscience Institute is supporting the hiring of a dedicated adviser for the major, Weiner said. The curriculum is designed to enable students to complete it within four years. 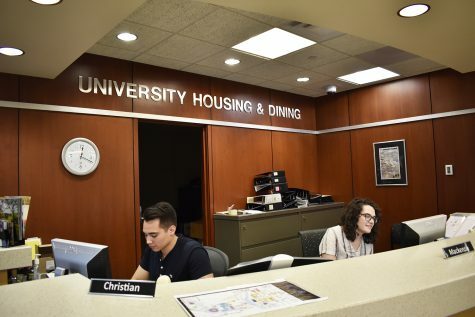 While the major is already cross-disciplinary, Weiner said he could see partnering with the English Department to train students in science writing, especially to utilize the UI’s strengths in writing. Other potential areas for collaboration include the College of Education to train aspiring neuroscience educators. 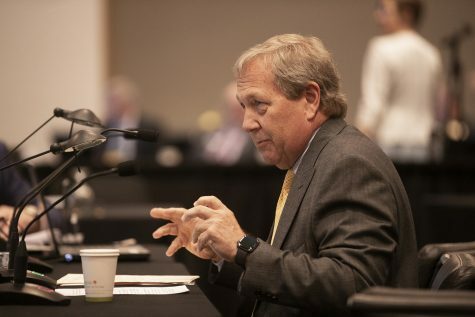 LaLumiere said the major helps the UI be on par academically with peer institutions that already have neuroscience majors, and it made sense to develop given the growth in neuroscience across the country.